Meghan, Duchess of Sussex meets members of the public during a visit of Birkenhead. (Photo: Karwai Tang/WireImage via Getty Images. There’s no doubt that 2019 is already shaping up to be a big year for the Duchess of Sussex and Prince Harry — and you can tell Meghan is giddy over the arrival of her first child with her dashing prince. Why else would she let slip the expected due date of the newest addition to the House of Windsor? On Monday, Meghan and Harry embarked on their first joint engagement of the new year as they visited the town of Birkenhead, Merseyside, to meet with local organizations that support various groups in the community — and, well, that’s where Meghan (accidentally?) let slip her due date to a group of local, Union Jack-waving, well-wishers. The duchess, 37, officially confirmed to the crowd that she is six months pregnant and that Baby Sussex is due in April. 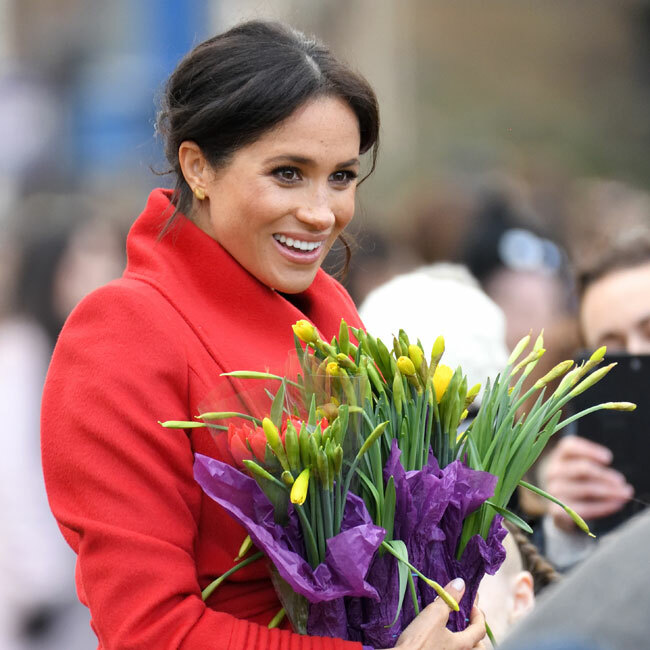 Although Kensington Palace had not publicly revealed an exact due date — only vaguely referring to a spring arrival — royal fans had been speculating whether the baby could arrive as early as March due to Meghan’s visible bump. “We asked her how her pregnancy was going and she said she was six months and she tapped her tummy,” local Carla Gandy told People. The parents-to-be were glowing as they arrived hand-in-hand in Birkenhead. And it would appear that Meghan took a style tip straight from Her Majesty’s fashion book when she arrived wearing bold, beautiful colours — a stark contrast to her usual dark attire. 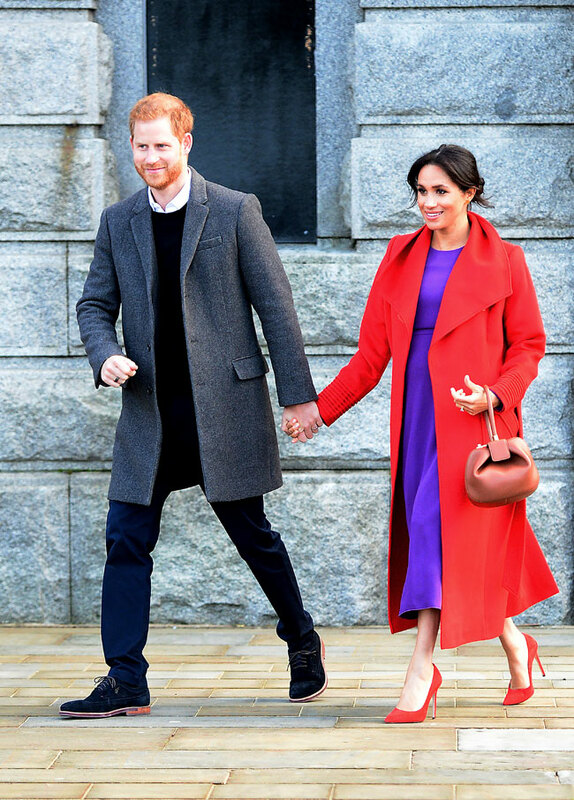 As a nice little shoutout to her adopted home in Toronto (where she lived for seven years during filming of the legal drama, Suits), Meghan wore not one, but two, Canadian labels — a purple Babaton dress by Aritzia and a red coat by Sentaler.